In 1992 over 12,000 banks and savings institutions were backed by the FDIC. Today that number is slightly above 7,700 yet total assets are even larger on a percentage basis. More and more banks fail but where tiny regional banks go down another too big to fail bank takes over and sets up shop. You’ve probably seen this in your own neighborhood. These are the same banks that created most of the toxic debt that infected the financial system to begin with. Now we are allowing them to setup shop all around the country. 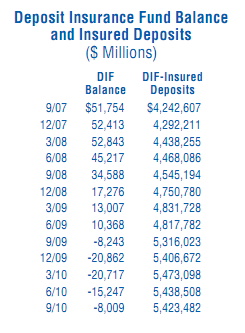 The FDIC is backing over $5 trillion in deposits purely on faith. Let us assume there is a bank run. Who will be there to bailout the FDIC? The US Treasury and Federal Reserve but since the nation is in the hole to the tune of $14 trillion in national debt this would only dilute the currency even further. In the end you would get paid back but with deflated dollars. This is why inflation is never really a solid option out of economic malaise. Otherwise we should just print and send $1 million to each American household. This is stunning data. 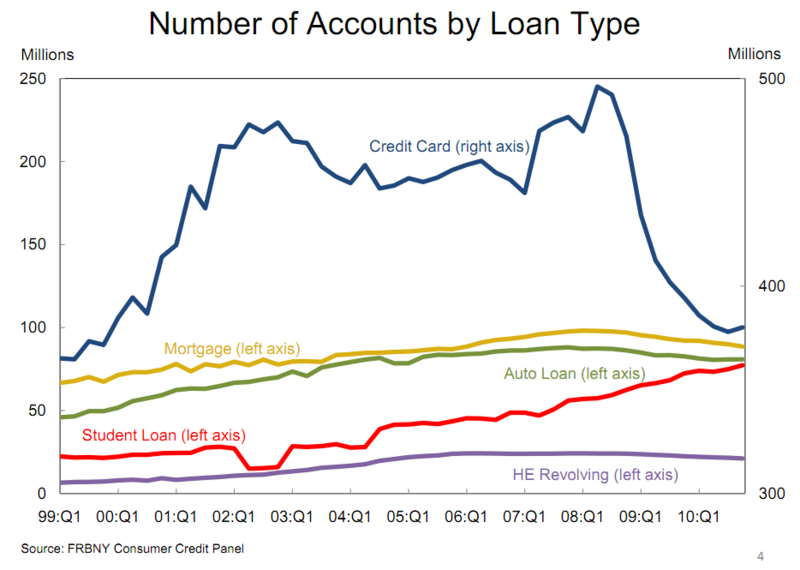 Nearly 14 percent of all credit card accounts are 90 days or more delinquent. Given that there is $850 billion in this market alone, this is cause for concern. 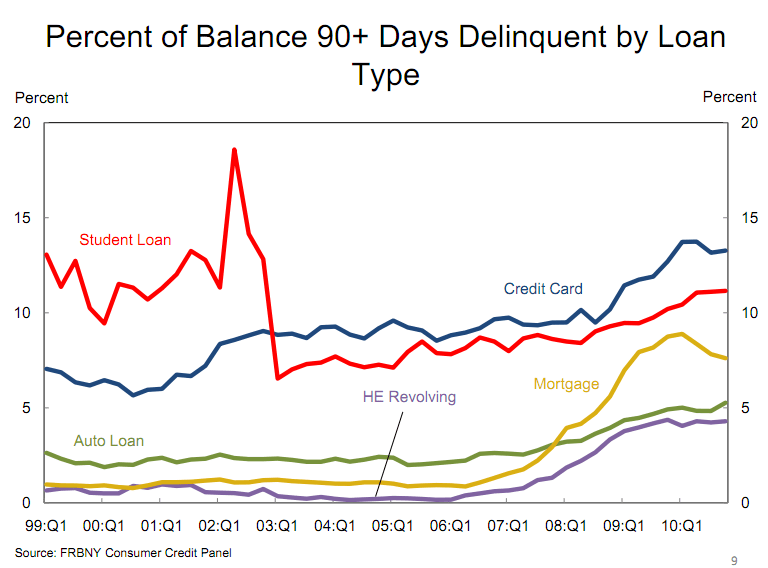 The next biggest delinquent category by percent of all loans isn’t mortgages but student loan debt. We’ve discussed the higher education bubble and here you are seeing the end results. Ultimately what the above shows is a country that fueled its last decade largely on massive amounts of debt. That debt is now due and many people are unable to pay. Keep in mind what this signifies. We aren’t talking about paying off the entire balance. You have people unable to make the $200 payment on their $7,000 credit card debt. Or you have people unable to pay the $1,500 mortgage on their $175,000 home. This debt is actually an asset to the banking system. 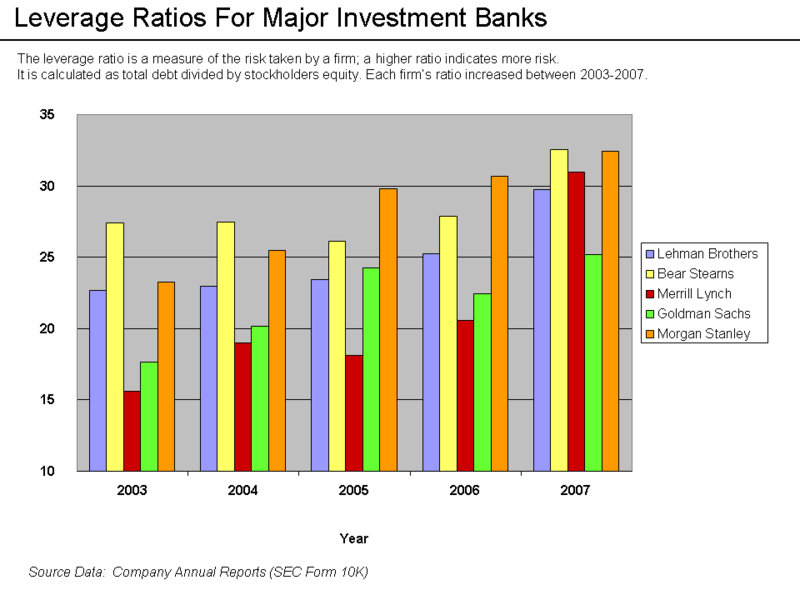 Does the above chart make you feel confident that the value of banking assets is increasing overall? 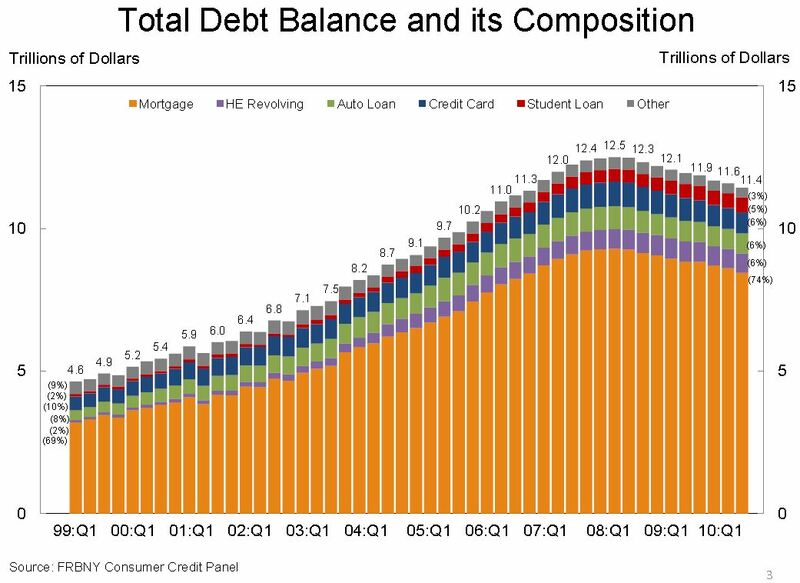 Currently US households have $11.4 trillion in debt outstanding. This is off from the $12.5 trillion peak in Q3 of 2008. The big difference is also the amount of equity Americans have in their home. That $11.4 trillion in debt seems more painful when overall US housing has fallen by over 30 percent and has chopped into the biggest asset of average Americans. Home prices are down by 30 percent while overall debt levels are down by 8.8 percent. That is simply unsustainable and that is why banks keep failing on a weekly basis. But the banks that have the most fantasy in their balance sheets, the too big to fail continue to eat away at taxpayer money through the hidden cost of quantitative easing and the destruction of the US dollar. These aren’t speculative notions but just look at where your financial life is today versus where it was over a decade ago. Many of these graduates will have no savings with FDIC insured banks but will owe the government and banks money they don’t have. How will they pay this off? The high delinquency rate is telling us they can’t. In the end you need a sustainable economy but right now the FDIC is merely the Wizard of Oz. We are pretending that over $5 trillion in deposits is actually backed by some “lock box” fund somewhere. It isn’t. It is simply faith in a system that has largely failed the middle class. As we see protests around the world when will Americans protest against this banking system that has led them down this path of debt servitude? Is robbing your financial future or your kid’s financial future not enough to call for serious reforms in the system? Let us just keep pretending that the $13 trillion in “assets” at FDIC insured institutions is really worth that and keep going on with our business. Just like everyone believed real estate was actually worth what it was at the peak just because it inflated balance sheets all around the country. Collective financial insanity – FDIC backing $5.4 trillion in total deposits on pure faith – US banking operating with negative deposit insurance fund and massive debt leverage. The greatest Ponzi scheme known in the financial world..